HAFNARFJORDUR, ICELAND – Activists from Saving Iceland have today begun stopping traffic to and from Rio Tinto-Alcan’s aluminium smelter in Straumsvík, Hafnarfjordur, by chaining themselves to the gates of the plant. 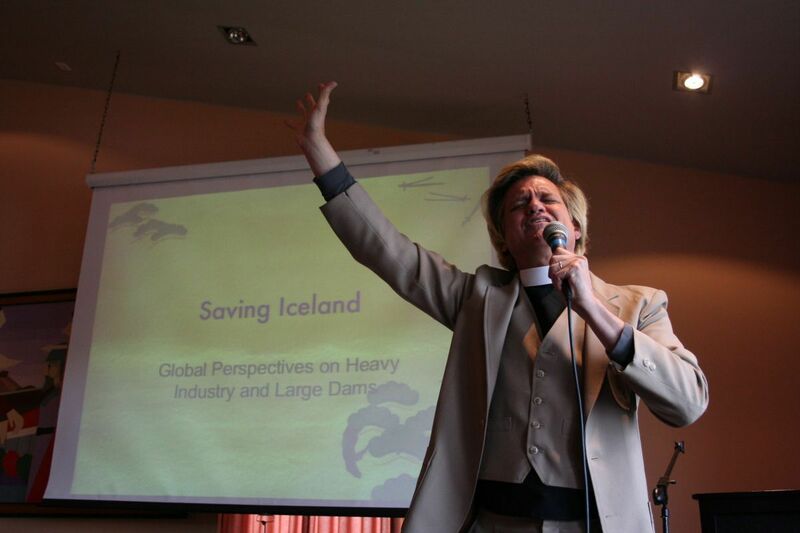 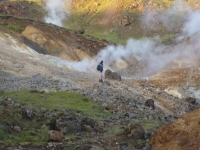 Saving Iceland is protesting against Rio Tinto-Alcan’s plans to increase their aluminium production capacity on the island, the consequences of which would would be that significant parts of Iceland’s unique environment would have to be destroyed for energy generation. 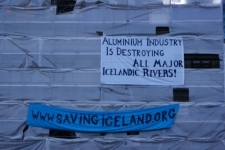 The activists are also protesting against the worlds largest aluminium producer’s involvement with the arms industry. 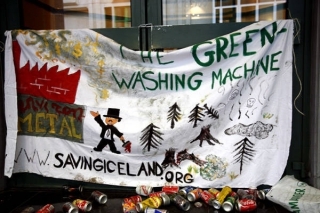 Rio Tinto-Alcan wants to increase its production in Straumsvík by 40 thousand tons per year without enlarging the smelter building itself. 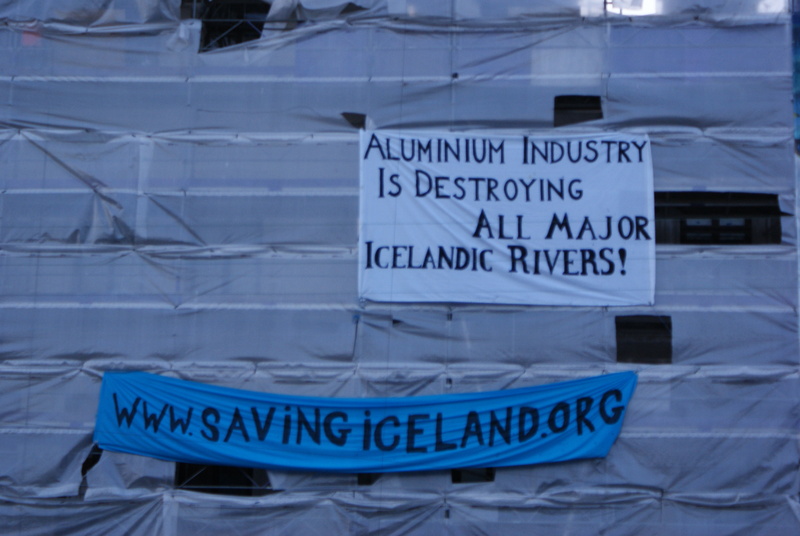 At the same time the company is planning to build a second aluminium smelter in the towns of Keilisnes or Þorlákshöfn (1). 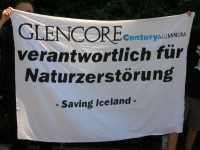 On 25 July 2008 we staged a demonstration outside Glencore’s headquarters in Switzerland to show our solidarity with the Saving Iceland campaign and to point the finger at Glencore’s business practices. 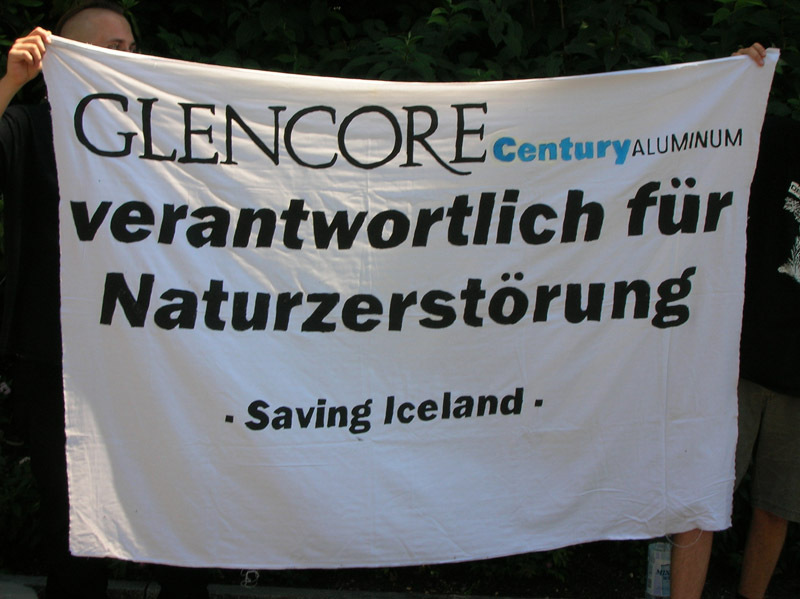 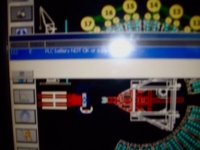 Glencore founded the Century Aluminum Co. in 1995 and remains the majority shareholder to this day. 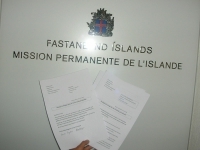 Therefore, Glencore can be held directly responsible both for the destruction and pollution in Iceland and for the human rights violations in Jamaica, Africa and Columbia being perpetrated by Century Aluminum.